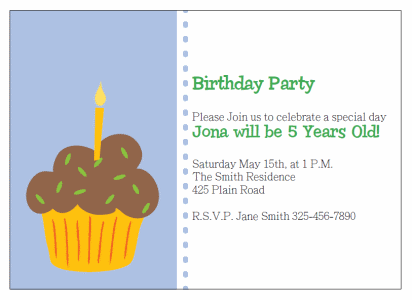 What could be any more classic than cupcake birthday invitations? I personally LOVE doing cupcakes for pretty much any kind of party whether it be a children's birthday party, baby shower, or even a wedding or bridal shower. You can dress them up or down, or even go all out decorating them and turning them into works of art in their own. These printable invitations are great for just about any party, and can even compliment just about any birthday party theme! 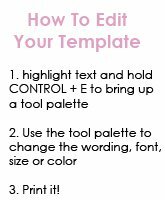 The printable invitations coomes as an instantly downloadable pdf. 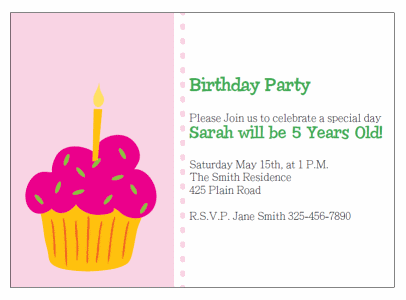 The PDF creates two 5 x 7 invitations which you can customize and print yourself. They invites are also accompanied by a matching printable Thank You note card.